Lucas Cranach I. 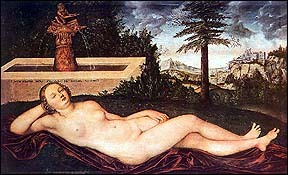 The Nymph of Spring, 1518. Or Pelops' arm of ivory. White, warm, and soft to lie with me. the one eaten by Ceres at the feast of Tantalus. gave the form of Juno. London, Lawrence & Bullen, 1891. 40.